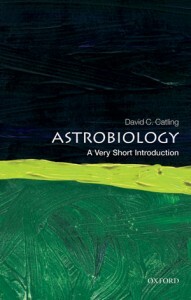 As someone with a scientific background in physics but new to the field of astrobiology I found this book to be an excellent introduction to the subject of astrobiology. David Catling manages to explain a large number of complex ideas in a simplified manner making them accessible to a wider audience. The first chapter sets up the field, discussing the difficulties of coming up with a definition for life and how explaining the origin and evolution of life on Earth is integral to astrobiology. He then goes onto the formation of the stars and planets with a focus on the solar system and the factors that affect the habitability of a planet. I really enjoyed Chapters 3 and 4 where he discusses the origin of life and how this could have evolved from microbial to the complex life we see today. This included reviewing the oldest microfossils found and looking at the history of the earth and how it maintained an environment fit for life. Chapter 5 gives an overview of basic biology explaining DNA and cell structure with a brief look at extremophile organisms. The last third of the book is about the possibility of life existing in the solar system and beyond with the discovery of greater numbers of exoplanets. Catling gives a list of possible life-harbouring objects in the solar system before going through explaining the likelihood and types of life that could be compatible to each environment. He reviews the current detection techniques for exoplanets, the idea of a galactic habitable zone and the search for intelligent life as opposed to microbial life. What I enjoyed about this introduction to astrobiology is the different fields that are touched upon and explained in a simplified yet not patronising manner. The book jumps from astronomy and planetary science to chemistry and biology. I also liked how the author was explicit when discussing topics that are still being debated by scientists such as the waterbelt vs snowball earth. The book also contains suggestions for further reading on the concepts explained in each chapter for people looking for a more thorough explanation.